After receiving several emails concerning my Multi Beacon Controller project I realized that it has been a while since I have made any announcements. Behind the scenes a lot of progress has been made and we now have 2 sites in New Zealand running digital JT4 beacons. It has been 12 months since the original 2m beacon was deployed at Hawkins Hill site in South Wellington and a failure of the old 23cm beacon over winter expedited plans to upgrade the other beacons onsite. As a result all 3 beacons have been upgraded to run JT4 modes from a single Multi Beacon Controller. The beacon comprises of a Multi-Beacon-Controller driving 3 ZLPLL boards sharing a single 26MHz OCXO. Each band drives a standard Mitsubishi RA series power blocks for each band. The Power Amplifier of the 2m and 70cm is inside the building and the 23cm power amplifier is mast mounted. The site also operates a CW obnly beacon on 2m and 6m which will be upgraded once some software features have been developed. The exciter is similar to the Hawkins Hill configuration with a M.B.C. driving 3 ZLPLL boards – 2 are currently used with the 3rd provisioned for driving the 2m beacon in the future. The 23cm beacon uses 2 slot panel antennas which have around 12dBd gain. The north panel points toward Auckland and the south panel points towards the Wellington region and Christchurch. 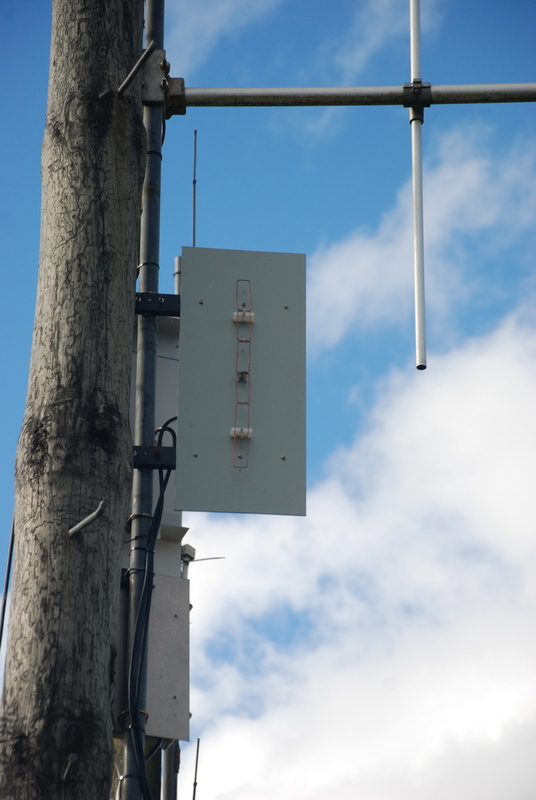 Reports have been received from Auckland and Wellington to demonstrating 24×7 coverage is possible which is consistent with the 6m, 2m and 70cm beacon coverage areas. Daytime and Night-time schedule for changing power levels or go QRT overnight. Bootloader to allow firmware updates without special AVR toolsets. What is driving some of these features is adding WSPR capability for the 6m band. The intention is to have the beacon “chirping” away on the standard beacon frequency and every few minutes (which can be set remotely by DTMF) jump to the international WSPR frequency and spend 2 minutes putting NZ on the map. The ZL2WHO/B beacon on 50.024MHz runs 1KW EIRP over summer and is often spotted in Japan, USA and Europe. So having a 24×7 WSPR station on air will encourage a lot more operators into using that mode. As you can appreciate there is a lot of future work planned, and it will take some time to be fully mature. At this stage I’m limiting the release of the hardware until I am happy the software is closer to a turn key solution. Plans are underway for a board to be deployed in Australia shortly. The biggie which is holding the project back is I am seriously considering changing the whole hardware design to be a Arduino Mega shield – this will solve a number of issues and potentially allow people to custom program the features in a more familiar environment. I would rather not put the current board out there and have to maintain 2 sets of code. There is quite a lot of work to be done!